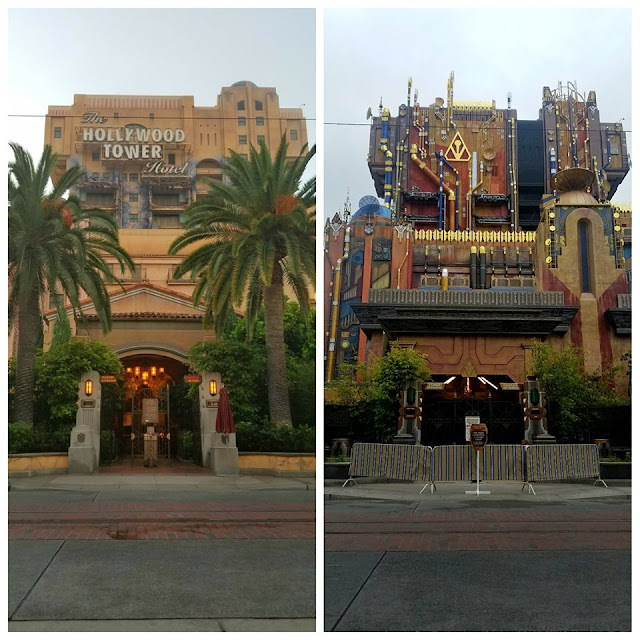 Take a look at this comparison set of photos that I took showing the former Hollywood Tower Hotel with the soon to be opened Collector's Fortress! Guardians of The Galaxy: Mission Breakout opens May 27th! The game will be similar? Like the free fall elevator?